Rob Normandin has been in the financial services profession since 1991 and is co-founder of Flatiron Financial Group, LLC. As an Investment Consultant, he holds his Series 6, 7, 63, and 65 registrations through LPL Financial and is fully licensed in insurances including long-term care, life and disability. Rob was born and raised in New York where he attended Suffolk College (Business Administration) and St. John’s University (Finance). He has been in the financial services field for 23 years (Investment Services, Insurance, Banking). Professional accomplishments include: Merrimack College - Certificate in Financial Planning, The American College - Life Underwriting Training Council Fellow, College For Financial Planning - Accredited Asset Management Specialist & Registered Paraplanner.Fi360 - Accredited Investment Fiduciary. 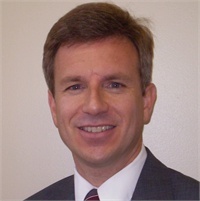 As a member of several local associations, Rob has enjoyed both the professional and personal experiences of affiliations with such groups as: National Association of Insurance and Financial Advisors (NAIFA), Greater Manchester Chamber Of Commerce, Mount Washington Valley Chamber of Commerce, and the Lincoln-Woodstock Chamber of Commerce. The parents of Ryan, Avery and Paige, Rob and Barbara have been married for 25 years and have lived in Manchester for21 years. Whenever possible, The Normandins find time to get away to their Madison, NH vacation house for some swimming, tennis, skiing or family musical jam session.